I’m the type of reader who gets sucked in by what is popular. Perhaps that makes me simple-minded, but that’s the reader I am. I don’t care if a book has gotten rave reviews or been widely reviled, I have to read it and make my own decision on it. It did take me a while to pick up Gone Girl, though. The book was published and became popular in 2012, which was when I was starting university, so that’s where I’ll lay the blame for my late reading of the novel. It wasn’t actually until the first trailer for the film adaption came out in April 2014 that I became reacquainted with Gone Girl. After being put on a mile-long waiting list for the book — every sane person wants to read the book before the movie — I finally got it before school started. It sounds like a typical modern mystery: a husband comes home from work to find his house in disarray and his beautiful wife missing. The man’s hometown starts a search party for his wife, but when the husband starts acting suspicious, the town and readers begin asking if he is really as nice as he seems. I’m a fan of mystery novels, so the clichéd description had me sighing and wondering if I was reading another dull, predictable book. But Gone Girl surprised me. Not only that, it chilled me. The book is told in a he-said she-said kind of way; the chapters alternate between Nick, the worried husband who just wants to find his wife, and diary entries from his wife Amy, which reveal dark points in her five-year marriage that make her husband look much more suspicious than he appears. Both Nick and Amy become unreliable narrators as the readers are exposed to two different accounts of events and people. The mystery ends in a way that I can only say is unconventional for a novel of its genre, but it worked for me. Reviews are evenly split on Goodreads between those who enjoyed the ending and those who hated it. While I liked it, I definitely understand the hate for it. Debate has heated up once again as it has come to light that the author has rewritten the ending for the movie. So what does this mean for the novel, for the readers, and for the story as a whole? I can’t say, but I know my mind is swimming with possibilities. 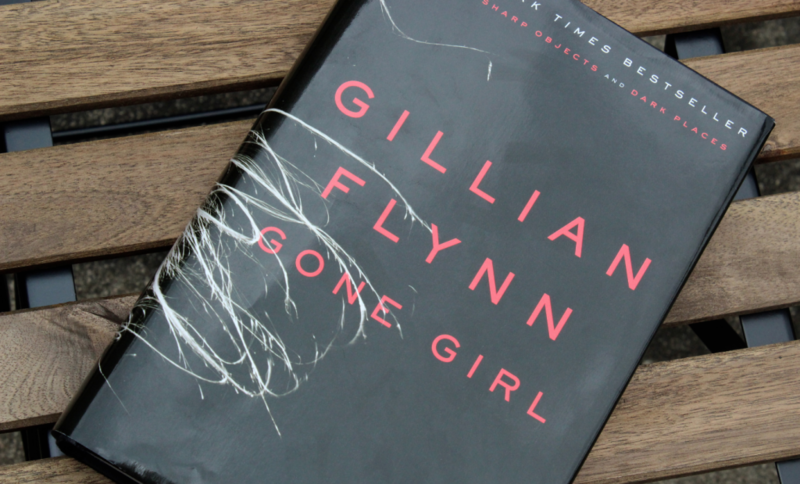 Gone Girl is a psychological roller coaster with so many twists and turns you’ll get whiplash. What begins as a predictable small-town mystery involving a young married couple becomes a dark, tangled web of deceit and second-guessing. You can take in in theatres starting Oct. 3.